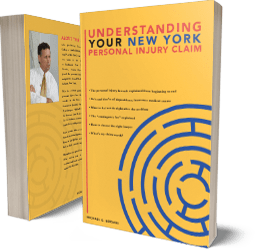 What do I Need to Know About New York School Accident Claims? There are several things the parent of a child who has had an accident at school, or on school premises, should know. Our Syracuse school accident lawyers have spent decades learning about them. We have seen all types of school accidents. We are here to share with you what we have learned. Our experience teaches us that many "accidents" at school are not really accidents at all. An accident is something that just happens with no one at fault. But an "accident" that happens because the school did not have the correct procedures in place to keep the children safe is in fact no "accident" at all. In legal terms, it is a "tort" for which the parents and the child can seek compensation. Ensuring that students who have demonstrated a dangerous potential are duly punished and kept under especially careful watch during recesses and at other times. Their child was hurt in gym class or in a sports activity due to negligent coaching or supervision or dangers inherent on the premise. School accident and injury claims are not limited to children who attend the school. Anybody who is present on school premises and is injured may have a claim. Schools have lots of insurance to pay compensation for injuries that occur on their school grounds or even off school grounds if the accident was the school's fault. One of the most important things for a parent to understand is that timing is important. You can't wait to see how well your child recovers from an injury before contacting a Syracuse school accident lawyer. The problem is that under New York Law you are required to serve something called a "Notice of Claim" upon a public school district within 90 days of the accident. If you miss that deadline, your claim may be dismissed. Therefore, if you or child has an accident at school, it is important to report the incident to the school as soon as possible, but also to consult with a New York school accident attorney, whether in the Syracuse area or elsewhere in New York. The reason you need to report the accident or injury to the school is so that they will investigate it and preserve the evidence. A parent of a child injured at school should also seek medical attention for the child as soon as possible, not only for the health and safety of the child, but in order to document the injuries for the claim. If you delay in seeking medical attention, you can expect the school to later argue that the injury must not have been so bad or else your child must have sustained the injury at a later date somewhere other than on school grounds. Where an inappropriate relationship forms with a school employee or teacher and a sexual assault happens off school grounds. Don't hesitate to contact our Syracuse school accident lawyers for a free consultation.